Home CRM 101 Making a View of Past-Due Opportunities in Dynamics CRM Be the first to comment. In order to maintain an accurate pipeline, it is critical for sales teams is to be vigilant updating opportunity close dates. Luckily, you can easily create a view of past-due opportunities in Dynamics CRM. The diagrams and instructions below will walk you through how to create a view of opportunities to be updated so you have visibility of these important items. 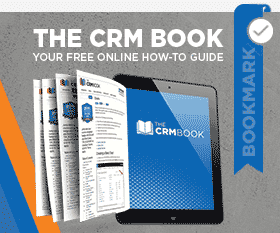 Click on Sales in the left navigation of CRM. At the top of the screen, select the views dropdown. At the bottom of the list, select Create Personal View. CRM pops up the Advanced Find window. Click the Select hyperlink to drop down a list of fields and choose Est. Close Date. Click on the next drop down and choose Last X Years. Choose the number of years you would like the query to go back. Most businesses will only need to put a 1 or 2 here. Click Save As and name the view and click OK. You can put in a description if you so desire. To use the view you just created go back to step 3 and select the view from the My Views section of the drop down. If you feel that your view would bring value to others you can share your view or make this into a system view. by Joe D365	July 19, 2013 Be the first to comment.